Whoops, seem to be getting a Bothan-drawing reputation, dunno how that happened?? Was commissioned to draw this fine fellow and honestly there's nothing about this piece I didn't enjoy putting together! 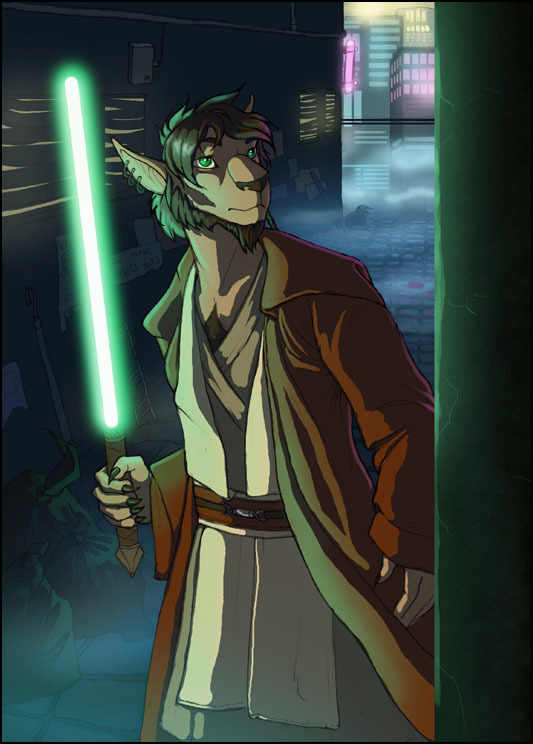 I miss lightsabers, sometimes. An all around good picture. Good job. I think that may be my fault with Xanamiar.. But your love of animals definitely is why you do then so well.